The Kia Stinger GT comes with all of the sports sedan boxes checked. 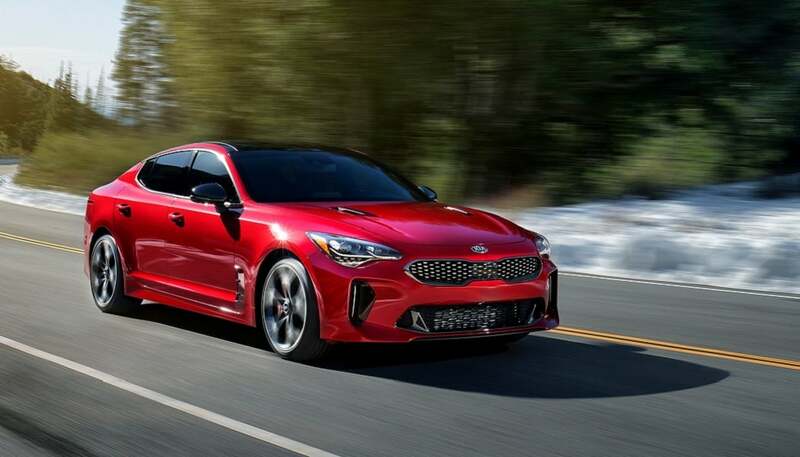 With the Kia Stinger GT, the carmaker is taking the fight to nearly the top of the compact sports sedan pile, going head to head with the Audi S4, BMW 340i and Mercedes-AMG C43. Buyers in this segment demand substance and style, not one or the other. So let’s see how the Kia Stinger measures up. The Kia Stinger GT comes with all of the sports sedan boxes checked. Twin-turbo V6 with 365 hp? Yup. All-wheel drive? Got that. Eight-speed automatic that is quicker than the best your left foot has to offer? Got it. Sleek styling? You better believe it. The Stinger’s hidden hatch and sleek styling look the part at this price point. There is hardly a line astray in this design, but that’s not surprising since this body was penned by former Audi stylist Peter Schreyer. You might remember him as the designer responsible for the Audi TT. Step inside and it’s clear that the interior target was the Mercedes-Benz C-class. The three prominent eyeball vents and the silver door speaker grilles are taken nearly note for note from Mercedes. But they’re beautiful, and they work. In fact, drop the logos from this interior and you’d be hard-pressed to notice that it wasn’t from a base C-class. With a better infotainment system. 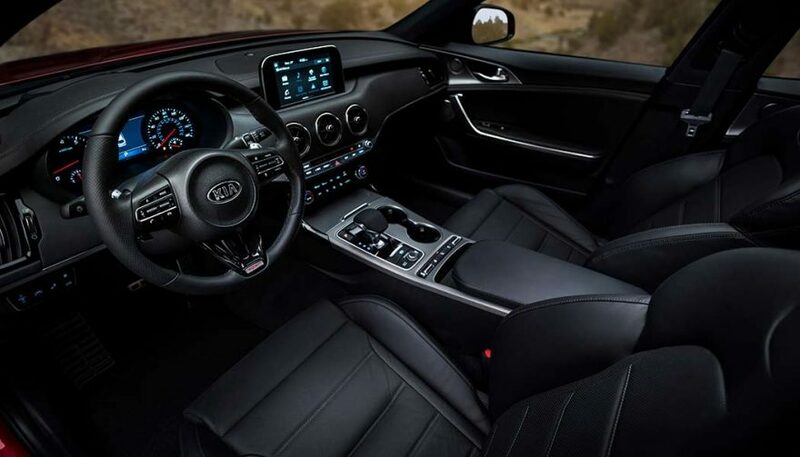 The Kia Stinger uses the same screen, interface, buttons and fonts as the base Rio. Surprisingly that doesn’t make this car feel cheaper. Instead, it shows just how premium those features are in the Kia Rio in comparison to its competition. Ultimately though, interior materials don’t meet the standards set by the big three. There is still a little too much plastic here, where Mercedes or Audi or BMW would use Alcantara, leather or higher-quality-looking plastic. However, the suede-feel headliner was a very pleasant surprise. While the interior is from Mercedes and the exterior is from an Audi stylist, the chassis comes from BMW. The engineer in charge of the development of this car came from BMW’s M division. You can feel that influence in the car. Set the drive mode to Sport and the rear-bias of this all-wheel drive system is obvious. 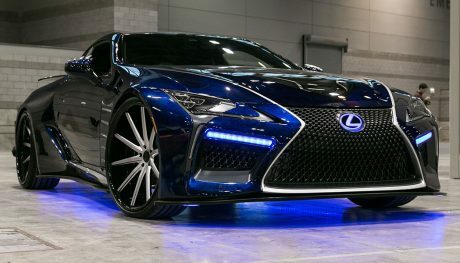 It has tremendous grip, even in snowy weather, but give it a big dose of right food and the rear end slides out predictably, and with impressive progression for the brand’s first attempt at a sports sedan. The eight-speed automatic is quick to shift up and down in response to your right boot, and the engine builds power and boost quickly and smoothly. A bit too smoothly. Unlike the chorus of the AMG and Audi performance exhausts, the Stinger stays quiet. Yes, there is a louder mode, but it’s not appreciably louder from inside. Some more thunder to go with the lightning would be appreciated. But, quiet or not, this engine pulls all the way to redline. The Kia Stinger rides firmly, especially in Sport mode, but it’s still soft for the category. Body roll isn’t an issue, so the suspension compliance is welcome on the cratered roads of early spring. It’s comfortable and capable, but it’s going to feel too soft for track duty. The Stinger needs to feel enough like the S4, C43 and 340i to sway enthusiasts. And it does. It feels like at least 90 percent of those cars. Looking at base trims, at least. Once you double the cost of the Mercedes and BMW with options, the interior differences are far more glaring. Normally, 90 percent wouldn’t be close enough. Buyers of those German cars are badge shopping more than they are performance car shopping. The Kia Stinger GT2 top trim car rings in within a couple of thousand dollars of the base models of the Germans. 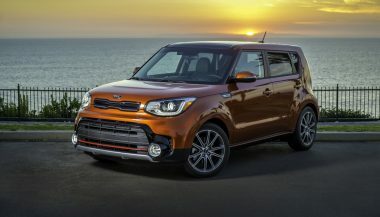 Does the Kia offer more equipment at that price? Of course it does. But what it doesn’t offer is that badge. The Audi, BMW and Mercedes at this performance level are being purchased as much for the badge as for the performance. Buyers who can’t the higher trim levels weren’t likely looking for fast. They were looking for that badge in the parking lot at work. Those buyers won’t migrate to a Kia for value, they’ll just get an A4 instead of an S4. Or a C300 instead of a C43. They’ll be missing out on performance, but they’re buying a badge. 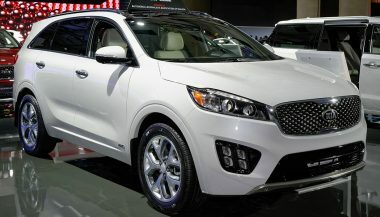 Expect to see lots of these cars with the North American Kia logo swapped out with the Korean-market-stylized K badge. Where the Kia Stinger GT hits its sweet spot is further down the range. 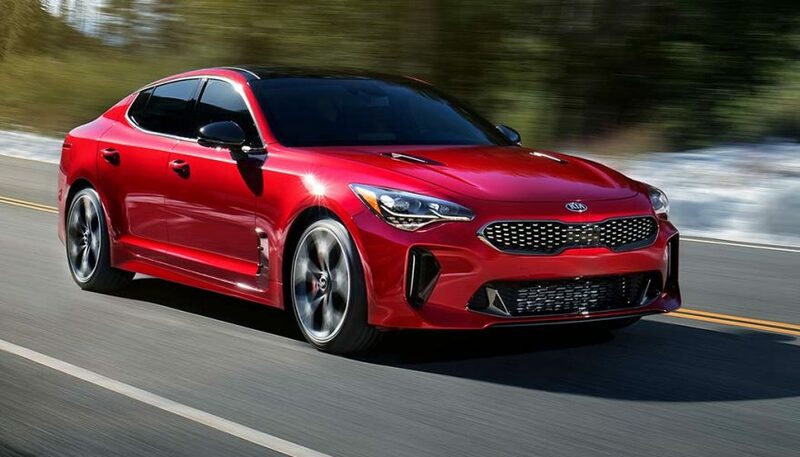 The base V6 all-wheel drive Stinger GT manages to come in at the same price point as a Subaru WRX STi or Volkswagen Golf R. And against those cars, the Stinger’s refinement, performance, and style are miles ahead. Step down to rear-drive or four-cylinder models and the Stinger still offers big performance and big value. At that $40,000 price point, the Kia Stinger GT is one of the best performance bargains of the year. In GT2 guise, it’s flying too close the sun. For now. Sooner or later, the badge will catch up to what’s under the hood. And then Kia can really sting. Three-Row Kia Telluride SUV Coming to Production? 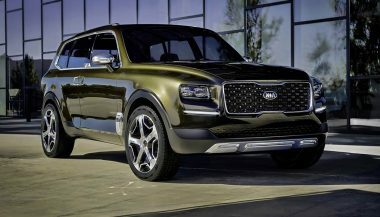 Following a tough year of SUV sales for Kia, the auto makers is set to announce the production of the Kia Telluride, a new full-size, three-row SUV. Love it or hate it, you have to say that the 2017 Kia Soul is unique in design. If you can stomach the way it looks, a practical SUV awaits.